It is with great sadness that the family of Orveda Liming announces her passing on Sunday, December 2, at the age of 85 years. The daughter of the late Esther Cremer Snider and Clarence (Mike) Snider, she was married to Joseph Liming for 50 years. Orveda graduated from Mt. Orab High School in 1950. At the age of 19 she began teaching at Milford, Ohio while completing her bachelor’s degree at Wilmington College. 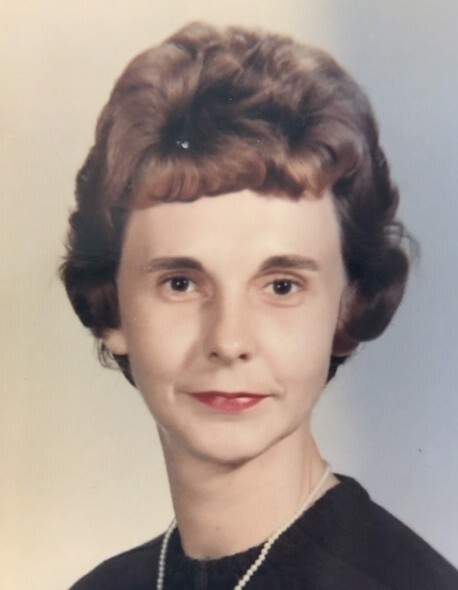 She taught part-time while raising her family, then returned to teaching full-time in 1965. A masters degree from Xavier was completed in 1971, allowing her to begin working as a school counselor. She retired from Western Brown in 1999 after more than thirty seven years as an educator. She will be lovingly remembered by her children Johanna, Barbara, and John Liming and six grandchildren: Sarah Wesseler, Scott Wesseler (Christy), Michael Wesseler (Heather), Katie Liming, Ben Liming, and Elizabeth Liming. She was predeceased by her parents, a brother, Melvin Snider, husband Joseph Liming, and a dear son, Daniel (Jenny) Liming. Orveda’s viewing will be held Thursday, Dec. 6, from 6 to 8 pm, and a funeral service in her memory will be held Friday, Dec. 7, at 10:30 am, both to be conducted at Cahall Funeral Home, Mt. Orab. Internment will follow at Mt. Orab Cemetery. Those who so desire may make memorials in memory of Orveda to the Joseph and Orveda Liming Scholarship Fund in care of Western Brown Local Schools, 524 W. Main, Mt. Orab, Ohio 45154.